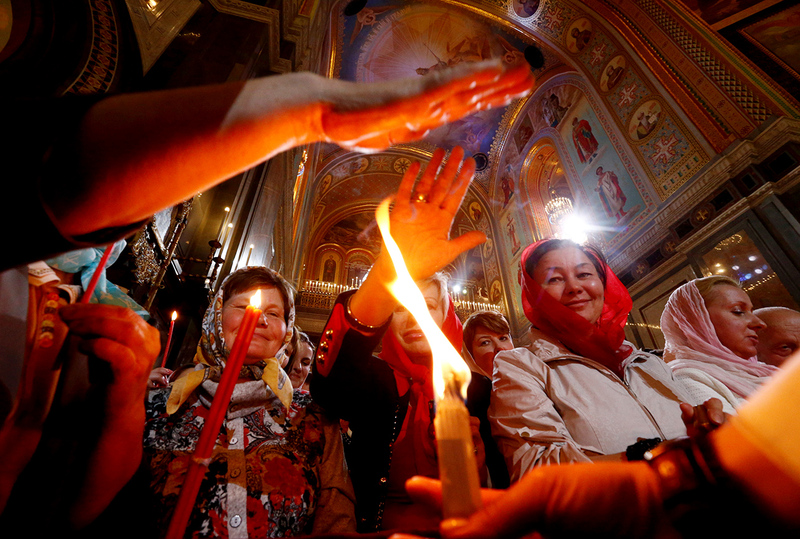 Worshippers reach out to touch candles with Holy Fire during an Orthodox Easter service at the Christ the Saviour Cathedral in Moscow, Russia. When in the 12th century the crusaders forbade Orthodox believers to enter the Church of the Holy Sepulcher in Jerusalem before Easter, the fire did not descend. Therefore, they had to be let in. Each year Orthodox believers breathe out a sigh of relief and rejoice that the Apocalypse has again been postponed – for another 12 months at least. However, some Russians think it’s possible to know for sure if the end of the world is coming or not. According to a common Orthodox tradition, Doomsday will arrive if on Holy Sunday (April 15 this year, while Easter is the next day) in Jerusalem the Holy Fire does not descend. If it does come down, humanity is given at least another year of life until the following Easter. The process of the fire’s descent occurs in the Church of the Holy Sepulcher in Jerusalem by Christ’s tomb, and is considered a miracle only by Orthodox believers. There are no theological explanations why such miracles do not occur in the Catholic faith. 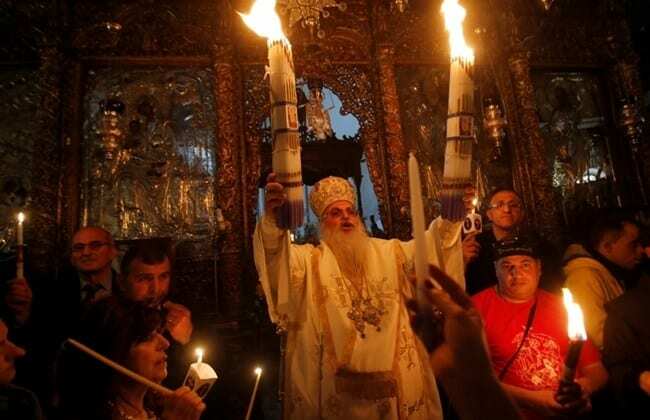 But why does the Holy Fire only descend for Orthodox believers? The first records of the Holy Fire dates back to the fourth century. Back then it was called the Holy Light. It symbolizes the light that illuminated Christ’s tomb after His resurrection. Ancient Arab sources also bear testimony to the miracle. In the Church of the Holy Sepulcher during the first centuries of Christianity there was a custom of blessing and lighting the evening lamp before the Easter service. Later the tradition gradually transformed into a ceremony and became known as the Miracle of the Fire’s Descent. Today, on Holy Saturday the Patriarch of Jerusalem, together with the Armenian bishop, enter the rotunda of the Church of the Holy Sepulcher, where Christ’s tomb is located, and say a prayer. The fire itself, according to Orthodox believers, is lit in the icon lamps that hang over Christ’s tomb. The patriarch and the Armenian bishop light a bundle of these lamps and go out to greet the people. Usually this happens between 3 p.m. and 4 p.m. Moscow time. It must be noted that the ceremony of the Fire’s Descent is broadcast on Russian television. 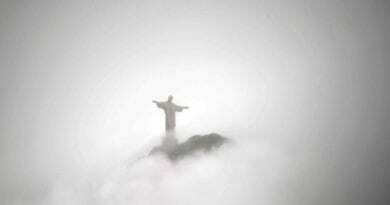 And it is one of the most vivid and exciting religious ceremonies that one can imagine. The Church of the Holy Sepulcher is packed with pilgrims from various countries. 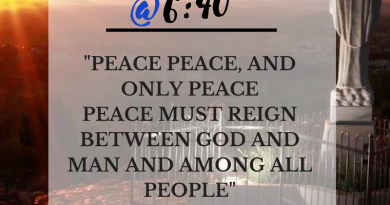 Many believers, who have come from the Middle East churches, call out to Christ, sitting on each other’s shoulders with bundles of candles waiting to be lit. All candles are put out before the ceremony and then a languishing anticipation of the miracle is felt throughout the premises. 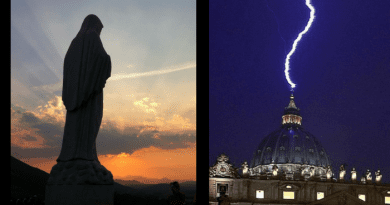 Flashes of light over Christ’s tomb resembling lightening are signs of the descending fire (in the TV transmission from the dark church they can indeed be seen). When the patriarch and the Armenian bishop walk out with the burning “white light” candles, there is even more joy. People try to light their candles with this fire and even have the fire graze their faces and hands (it is believed that it does not burn). The event is certainly different from a normal religious services. Currently, priests from the Jerusalem Patriarchate, the Armenian Apostolic Church, the Coptic Church, and the Syrian Church participate in the descent of the Holy Fire. Catholic priests participated in the ceremony up until the 12th century (afterwards the crusaders were exiled from Jerusalem). Once the crusaders forbade Orthodox believers to enter the Church of the Holy Sepulcher before Easter and the fire did not descend. It is only when the king allowed the Orthodox believers in to the church that the fire again descended. In the 16th century the same story occurred with representatives of the Armenian Church – the fire did not descend for them, but appeared only after the Orthodox believers were permitted to enter the church (according to legend, lightning struck a church pillar and the candles lit). In the 13th century, Pope Gregory IX announced that he did not consider the Holy Fire a miracle. The Catholics either do not value the descent of the fire or do not recognize its authenticity, while currently the Vatican’s official position is neutral. Occasionally disputes about the authenticity of the Jerusalem miracle occur among Orthodox believers. In particular, publicist and deacon Andrei Kuraev said that it’s possible that the Jerusalem patriarch uses a lighter to start the fire, so that the tradition does not come to an end. In the 2000s, the Holy Fire had a special meaning for Russians. According to popular belief, this miracle confirms the verity of the Orthodox faith in general and in particular, celebrating Easter according to a non-Catholic calendar. Moreover, currently the Holy Fire is a symbol of Russia’s ties with the Holy Land. 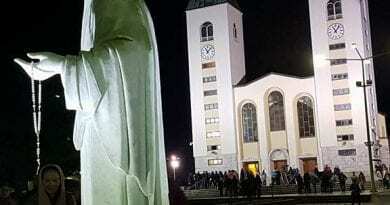 Since 2003, the Apostle Andrew Foundation has been delivering the Holy Fire to Russia on a plane on the day it descends, that is, on Holy Saturday. In a special icon lamp the fire is given to the Russian Patriarch in Moscow’s principal church, the Cathedral of Christ the Savior. From there it is taken to the regions and red Easter candles are lit in churches with the fire. It’s believed the fire does not burn you and can cure diseases. Roman Lunkin is PhD, head of the Center for Religious Studies, Institute of Europe, Russian Academy of Science.